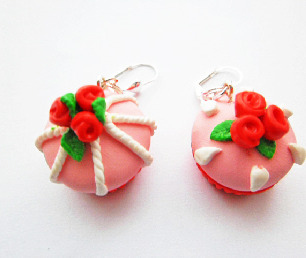 Pretty eye-catching fimo cake with silver plated leverback earrings. Non-toxin polymer clay and paint. * Not suitable for young children. This item is a realistic replica of a pink cupcake, but this item is not real food and not edible.